Amblyopia (lazy eye) is the loss or lack of development of vision in an eye that is unrelated to any eye health problem. It develops between birth and 8 years of age. Because of improper development, the brain does not acknowledge the images seen by the amblyopic eye. The reduced vision due to amblyopia is not correctable with lenses alone, so the person goes through life using only one eye. 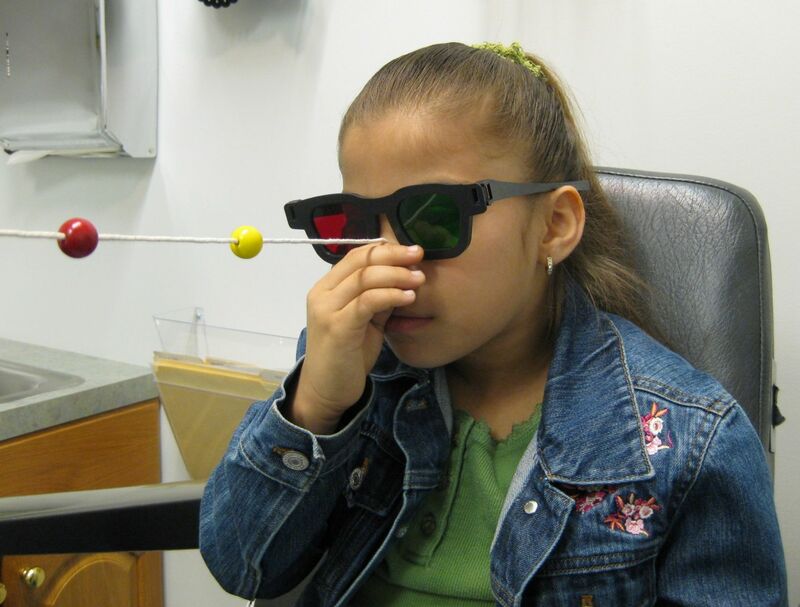 Amblyopia is generally the result of poor early visual development and, as such, usually occurs before the age of eight. Premature infants and those with low birth weight are at a greater risk for the development of the condition at a very early age. Amblyopia usually results from a failure to use both eyes together. It can be caused by the presence of strabismus (crossed-eyes), unequal refractive error (farsightedness or nearsightedness or astigmatism), or a physical obstruction of vision (cataract) present at birth. If there is a large enough difference in the degree of nearsightedness, farsightedness, or astigmatism between the two eyes or if the eyes are crossed, the brain learns to ignore one image in favor of the other. A good example is, if you had your arm in a cast for 6 months, you would need to do therapy to get it working properly again once removed from the cast. Failure to do this rehabilitative therapy would result in the arm never working properly. The vision of the eye that is ignored becomes weaker from disuse. The brain doesn't know how to process the image. The amblyopic eye is never blind in the sense of being entire without sight. 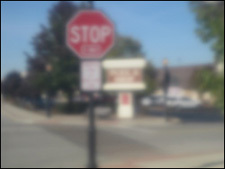 Amblyopia affects only the central vision of the affected eye. Peripheral awareness will remain the same. However, if the amblyopia is severe and the person lost sight in the good eye, he may be visually impaired and not be able to drive a car, for example. The photo on the right shows a personal vision with amblyopia. The problem is that NO type of glasses or contacts can make the image any clearer. If not caught and treated in early childhood, this becomes a permanent condition. Amblyopia usually produces a few symptoms. It may be accompanied by crossed eyes or by a large difference in the refractive error between the two eyes. A child may also exhibit noticeable symptoms by turning the head to favor the good eye or by having a tendency to bump into objects on one side. Only a comprehensive eye/health examination can diagnose the presence of amblyopia. The earlier it is diagnosed, the greater the chance for successful treatment. 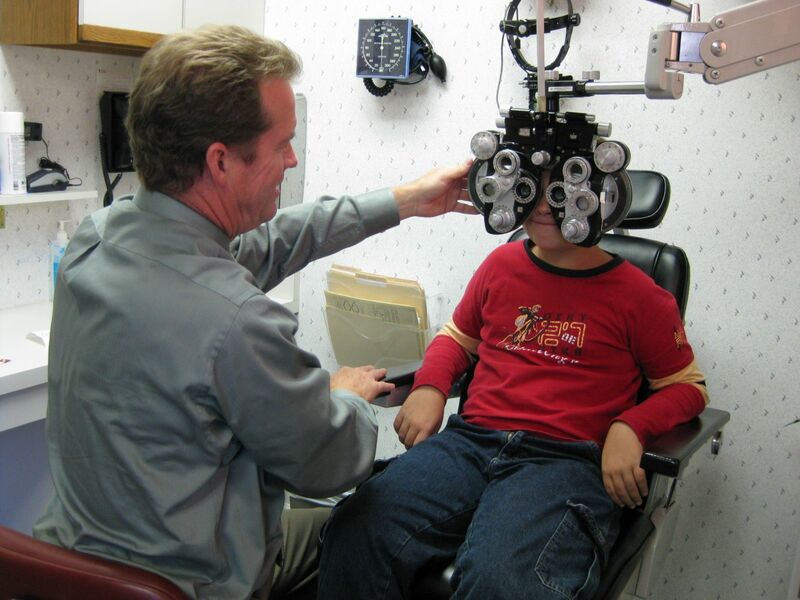 To enhance early detection, the State of Illinois, effective January 2008, passed a law requiring all children entering kindergarten have a thorough eye examination from an optometrist or ophthalmologist (surgeon). 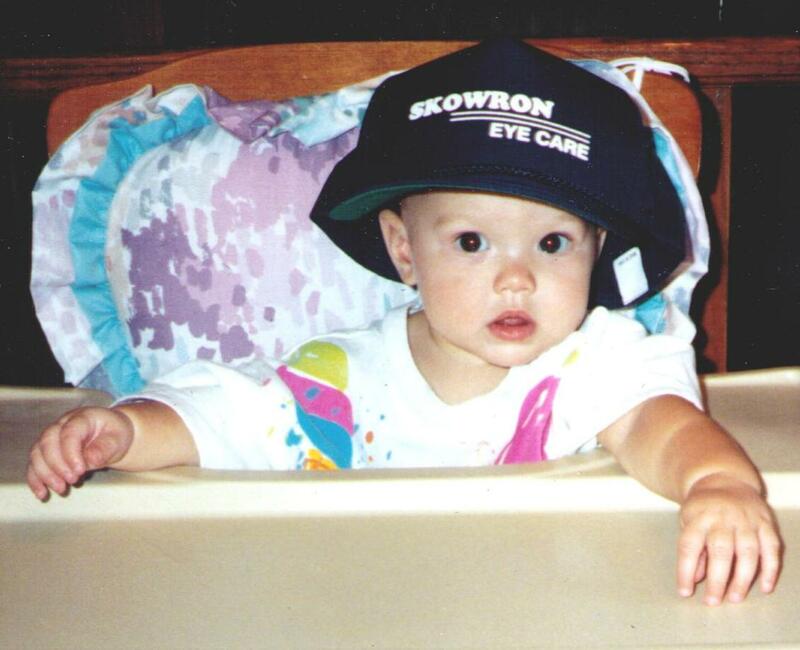 Since amblyopia occurs only in one eye, the good eye takes over; and the child is generally unaware of the condition. Therefore, it is important to have your child's vision examined between 1-2 years of age and again before he or she enters school. Corrective lenses, prisms, and/or contact lenses are often used to treat amblyopia. Specific eye exercises -- VISION THERAPY -- may be prescribed to help improve and restore visual function. Vision in the amblyopic eye may continue to decrease if left untreated. The brain simply pays less and less attention to the images sent by the amblyopic eye. Eventually, the condition stabilizes, and the eye becomes virtually unused. It is quite difficult to effectively treat amblyopia at this point. Early detection and treatment of amblyopia can significantly reduce the chances of one's eye becoming amblyopic. How great is a handicap amblyopia? Amblyopia is a handicap because it can limit the occupational and leisure activities a person can do. 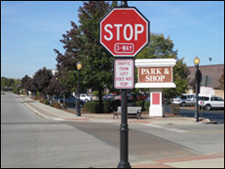 Activities requiring good depth perception may be difficult or impossible to perform. In addition, as stated before, should the good eye become injured or develop vision problems, one may have difficulty performing normal activities.